In Chicago we met Al Capone, Louis Armstrong and Frank Lloyd Wright. Well, sort of. We were part of a group of 120 guests who experienced The Tauck Chicago Event, organized by North America’s oldest touring company in cooperation with famed filmmaker Ken Burns. What he calls “The Most American of Cities” has been the focus of several Emmy winning PBS documentaries: Prohibition, Frank Lloyd Wright and Jazz. 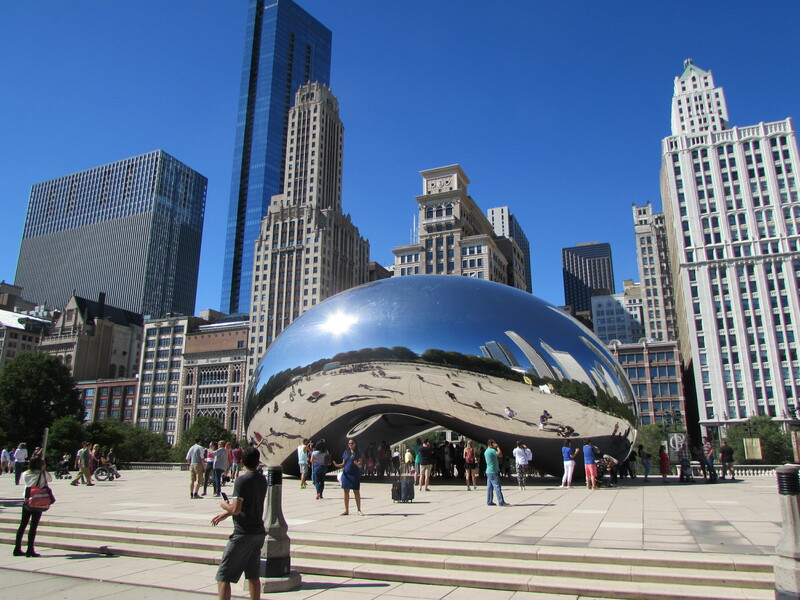 All focus on Chicago and its remarkable history, architecture and music. 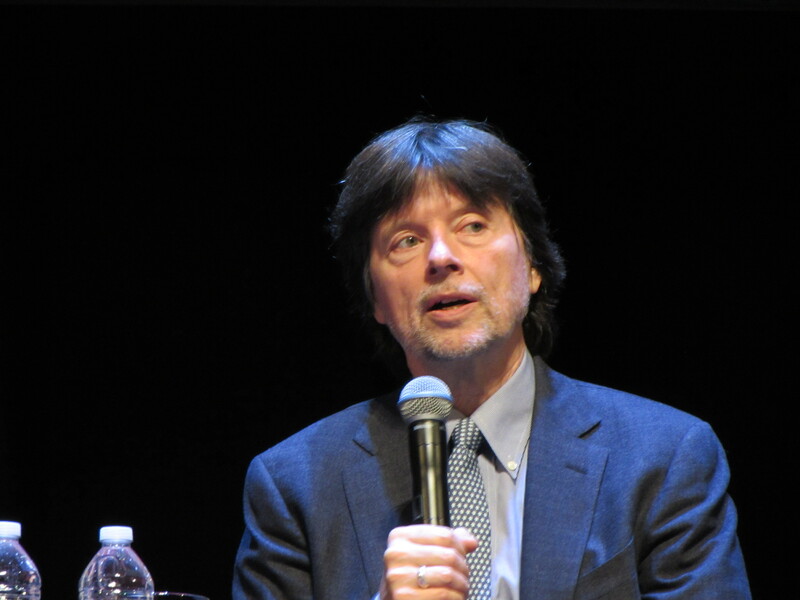 Tauck planned the Event so guests could meet Ken Burns, experience many of the elements in those three films and feel a close attachment to its main characters. In spite of Chicago’s current reputation for murder and gun violence, we were very impressed by the city’s cleanliness, efficiency and friendliness (obviously, tourists avoid high crime areas). Even O’Hare International Airport, the second busiest in the U.S., was efficient. It had our luggage waiting as soon as we arrived at the carousel. New England-based Tauck, in business since 1925, offers more than 140 all-inclusive guided journeys and river cruises in 70 countries. The themed “Events” (New York, New Orleans, National Parks, Baseball and others) are planned so guests are pampered, escorted and fully immersed in the subject matter. Even limo service, from the airport to downtown and back, is included. The Chicago Event guests (mainly American, but with several Canadians and Brits), were broken down into four groups of about 30, each with its own historic name (we were the tough guys – the Al Capone group!) and a dedicated Tauck Director. To avoid crowding, each group has a separate bus and itinerary each day and then all come together most evenings for a gala dinner or special occasion. The first evening set the tone with an all-guest gathering and dinner at the Chicago History Museum. Dating from 1856, it’s the city’s oldest cultural institution and traces the earliest recorded history of Chicago by French explorer Marquette. It includes exhibits about the Great Fire of 1871, the 1893 World’s Columbian Exposition and even a copper still from 1920s Prohibition, as well as brilliant Tiffany glass windows. The following morning our Al Capone group joined an open-deck cruise along the Chicago River that meanders through the downtown. A volunteer from the Chicago Architecture Foundation implored us to look way up and described the magnificent buildings that dominate the city skyline. There are several stunning high rises from the 1920s with their Gothic-style towers and modern skyscrapers–like the 110-story Willis Tower (formerly the Sears Tower, once the tallest in the world) and the 92-story Trump Tower, a shimmering blend of stainless steel and glass. In the evening we were treated to an illustrated lecture by Get Capone Author Jonathan Eig about the notorious Chicago gangster. Known as Scarface, Capone controlled gambling, prostitution and the illicit liquor trade in the 1920s by bribing, threatening and sometimes killing police officers, judges, politicians and competing racketeers. He was finally sent to jail, not by the famous Elliott Ness but by federal accountants who nailed him for tax evasion. The lecture was the perfect introduction to our tour the next day of Chicago neighborhoods that were notorious in the 1920s and ‘30s for illegal activities and major crimes. We saw the spot, now a park, where seven mobsters from one of Capone’s rival gangs were shot down on St. Valentine’s Day in 1929, and we passed the Biograph Theatre where bank robber John Dillinger was killed by the FBI in 1934. We even visited two former, well-preserved speakeasies, the illegal (“stay quiet – speak easy”) but very profitable bars that flourished in Chicago during the 13 years of prohibition. Both the Twin Anchors (a favourite hangout for Frank Sinatra) and the Green Door Tavern are still active but have little use now for their hidden escape doors. In the evening, the entire Tauck Tour group was bussed to the opulent Chicago Theatre. Built in 1921 as a movie theatre and vaudeville house, it’s a magnificent 3,800-seat showplace with a distinctive marquee, a palatial lobby, a Mighty Wurlitzer organ and a massive auditorium decorated with fourteen large romantic French-themed murals. It was a jaw-dropping venue for a lively question-and-answer session with filmmaker Ken Burns and Tauck President Jennifer Tombaugh. Burns talked about his 28 remarkable TV documentaries, with special emphasis on his Prohibition, Architecture and Louis Armstrong Jazz films. Burns, now 63 and showing no signs of slowing down, is currently working on documentaries about Vietnam, country music and Ernest Hemingway. He told us he’d love to do a film about U.S.-Canada relations. Our final day had a focus on the work of famed American architect Frank Lloyd Wright and his illustrious career in Chicago. Early on he rejected the traditional Victorian style for houses and developed the Prairie School, the first uniquely American architectural style. It emphasizes flat prairie landscapes with lots of brown and tan colours and long horizontal lines with overhanging roofs. We visited the best example, now a National Historic Landmark, on the campus of the University of Chicago. 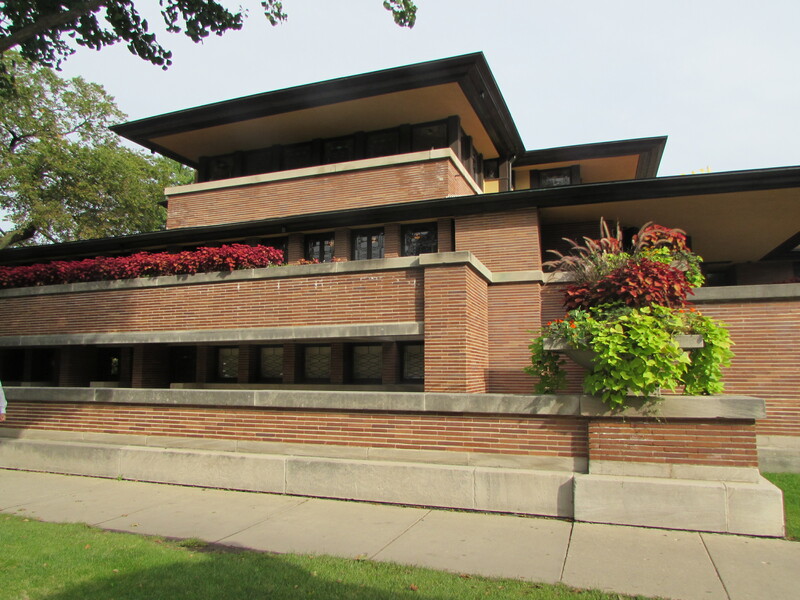 The Robie House was completed in 1910 for a local businessman. Even the interior–light fixtures, windows and furniture–was designed by Wright. In the Chicago suburb of Oak Park we saw two dozen Wright-designed buildings, the largest concentration of his work anywhere. The Frank Lloyd Wright Home and Studio is preserved here, now a museum that attracts thousands of visitors including many architectural students from around the world. Tauck did give its guests some free time so we knew we had to visit the massive Art Institute of Chicago near Millennium Park (with its playful “Bean” sculpture). It would take days to see the full collection but we were impressed by the wonderful Rembrandts and some of the best Impressionist and Post-Impressionist paintings outside of France. Especially well-known and stunning was “A Sunday on La Grande Jatte” by Georges Seurat. We also dined at two excellent restaurants close to our hotel on the Magnificent Mile. The Tre Soldi serves wonderful Italian cuisine (their grilled octopus and risotto were superb) while Joe’s Seafood, Prime Steak and Stone Crab was memorable for its crab cakes and prime beef. The final day with Tauck ended in fine style with a “Prohibition Repeal Celebration” in the elegant ballroom of the Intercontinental Hotel. Many guests and most staff dressed in ‘20s and ‘30s outfits while enjoying a great banquet and free-flowing wine with music by the Fat Babies Jazz Band playing in the classic early-Jazz styles of the Roaring Twenties. It was a great way to celebrate a remarkable era in Chicago history and an excellent, well-organized tour. In 2017, Tauck will repeat its popular New York and New Orleans Events, with an itinerary inspired again by the documentaries of Ken Burns. An earlier version of this story was published in the Halifax Herald. John and Sandra Nowlan are award-winning travel writers and photographers based in the port city of Halifax, Nova Scotia. John is a retired public television producer and director (winner of an International Emmy) and Sandra is a food scientist (MSc., Cornell) and author of three cookbooks. Together they have traveled to and written about all seven continents. They share a passion for good food, fine wine and grand adventure. They have three adult children spread across the world and five grandchildren.